one major part of doing lab experiments in conjunction with Chemistry text book is to try to give visual representations of what students are learning in their classrooms. Experimentation enables them expand their scientific experiences and understand that the concepts of Chemistry they are learning are real things and not just ideas in their books. 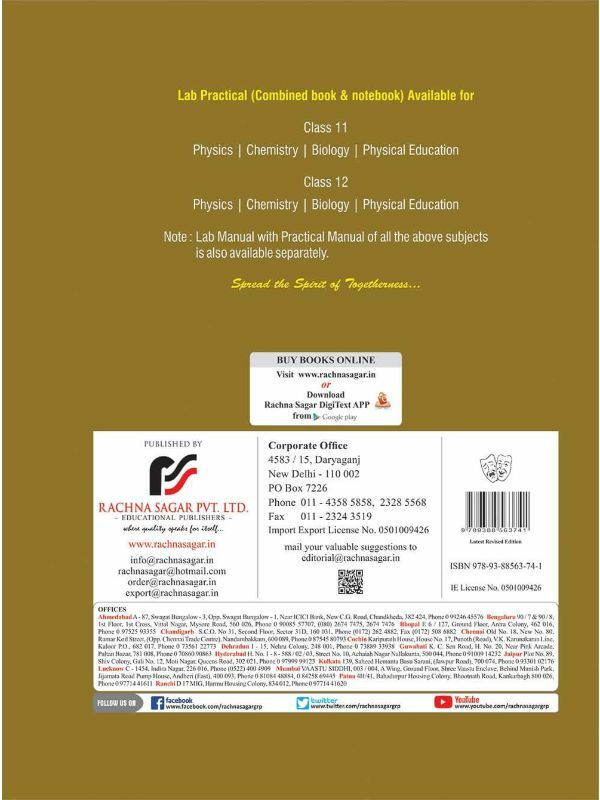 The lab practical has been designed according to the new syllabus prescribed by CBSE (Central Board of Secondary Education). ●Its rich content described in simple language. ●Colourful and well labeled illustrations, as a visual aid to enhance the understanding of the technique. ●Brief but valuable theoretical background for each experiment. ●Tabular representation of data/observations required for the recording of the experiment. ●A large number of questions at the end of each section to assist students to prepare for viva. ●Precautions, assisting notes or suggestions provided to help students enjoy the experiments. 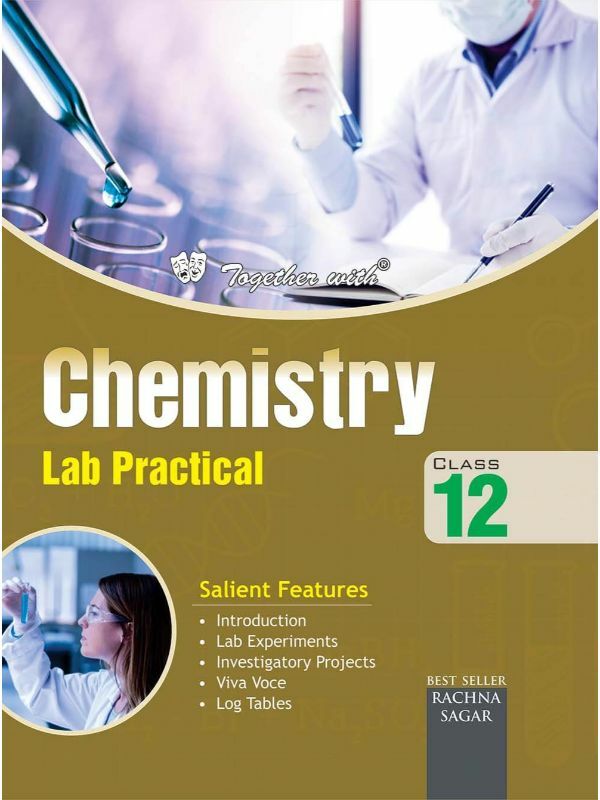 ●Sample solutions provided especially in volumetric and salt analysis that enables students to record the experiment flawlessly. ●Notebook pages have been included in the book itself for the convenience of the students.